With a successful expansion into sneakers this past Spring, Eredità is continuing to offer casual, seasonal options for FW18. Some of Eredità’s favorites are back for fall, including the Abrusco, Francesco, and Pascale. 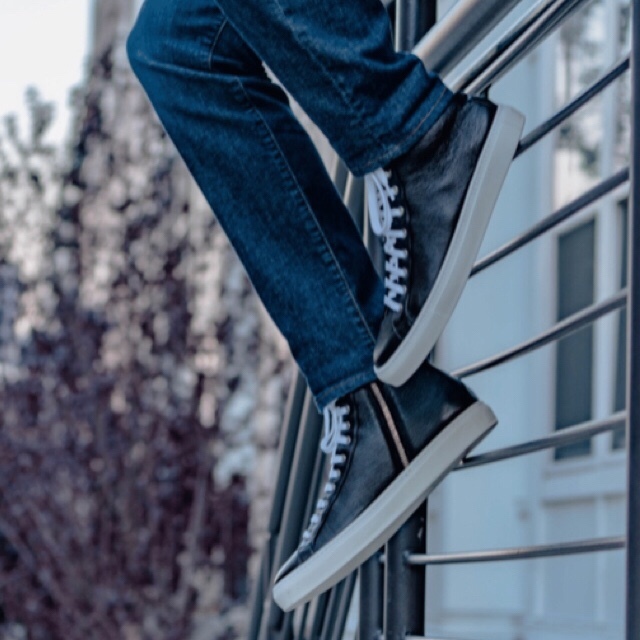 the Corvina is the brand’s newest addition for Fall/Winter 2018 a high-top, leather sneaker in a classic black, and also available for custom color selection. Eredità’s Shoes’ products are handcrafted across Italy by family-run factories. With decades of experience and knowledge that has been passed down generation, the dedication to perfection is unparalleled. Cobblers from regions across Italy spend hours handcrafting every pair of Eredità Shoes for each individual customer. Eredità Shoes are made to order and hand-dyed, giving you unique individualization from one pair to the next. This entry was posted in Uncategorized and tagged 360, 360 Magazine, casual, custom-made, Customize, diverse range, Eredità, Eredità Shoes, Fall Favorites, fall/winter, fashion, fw18, Hand-dyed, handcrafted, Individualization, Italy, options, Pauline Huynh, Seasonal, shoes, style, unique, Vaughn Lowery, versatile on September 14, 2018 by wp360mag.